Last night I attended the Broward Art Guild’s Black & White Exhibition at Comfort Zone. It was a nice event, many people, food & wine. My work was hanging so high on the wall that all of my photos are on an angle. Lots of blk/wht photography was on display. 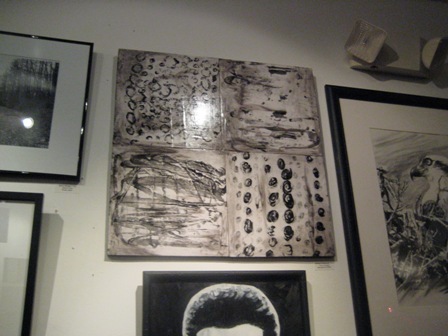 I was the only encaustic monoprint. It was nice to see my name in the program and under my art, but the gallery wrote the name of my work as “town corners” instead of “Four Corners”. 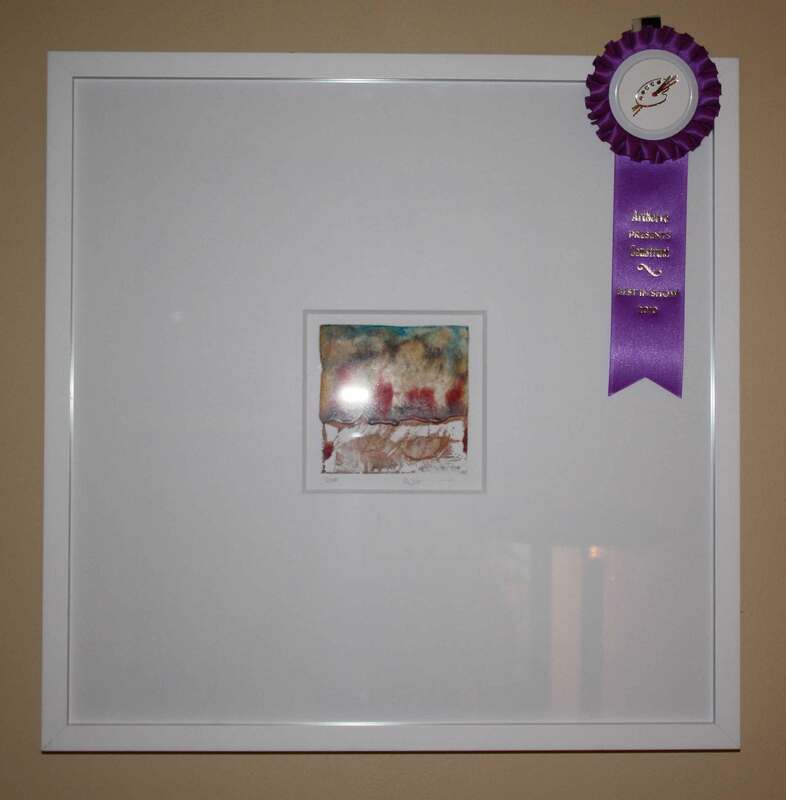 Next time I need to make sure that my handwriting is perfect (which it usually is for these things) The President of the Broward Art Guild announced the winners as this was a juried art event with prize money.I was a bit disappointed, I was not expecting to win, but all the winners are artists that hold board titles or jobs with the guild. Not very encouraging for a non-guild member or employee. 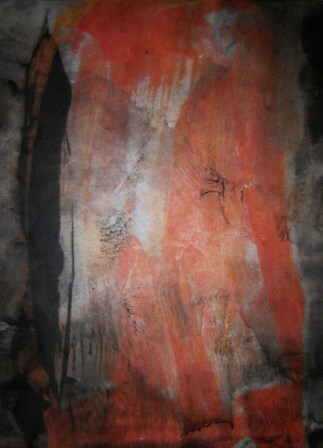 Here is the monoprint that is currently on display at Comfort zone. To enlarge the photo just click on it. I entered a piece in the Broward Art Guild Black & White show. As you guess from the title all of the art must be in black & white. 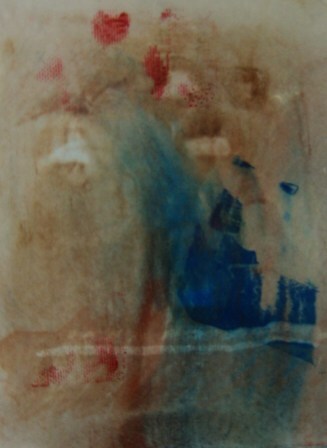 I am sure that I am the only artist to submit a work using encaustics. 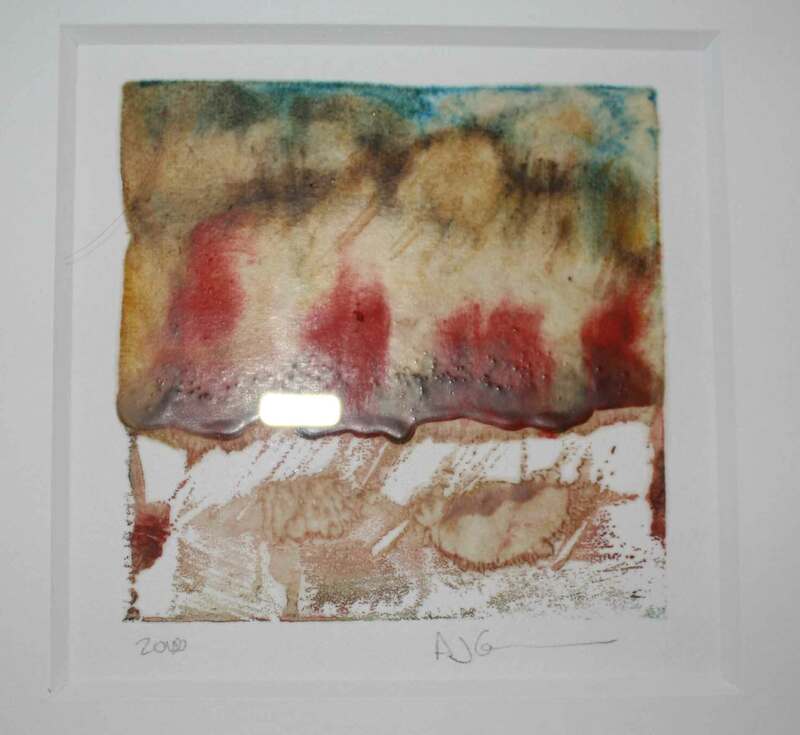 It is an encaustic monoprint. I forgot to snap a photo before I had it delivered to the Guild. You can see it for yourself at the opening reception on Friday, January 11 at the “Comfort Zone Studio” (2028 Harrison Street, Downtown Hollywood). The Judging will take place at 8pm. I am just hoping that my work stays on the wall, as it weighs a ton!! !